"Do not doubt your abilities. Do not delay your worthy impressions. With God’s help, you cannot fail. He will give you the courage to participate in meaningful change and purposeful living. We need to repent, straightway, and trust in His reality and capacity to assist us in knowing the abundant life. He will help us learn to be sensitive to our own needs and to those of others. Those who fear, procrastinate. Those who change for the better show progress straightway and become wiser and stronger. We need to develop the courage to straightway take the first step. We need to remember that children learn to walk only because someone encourages them to take the first step. 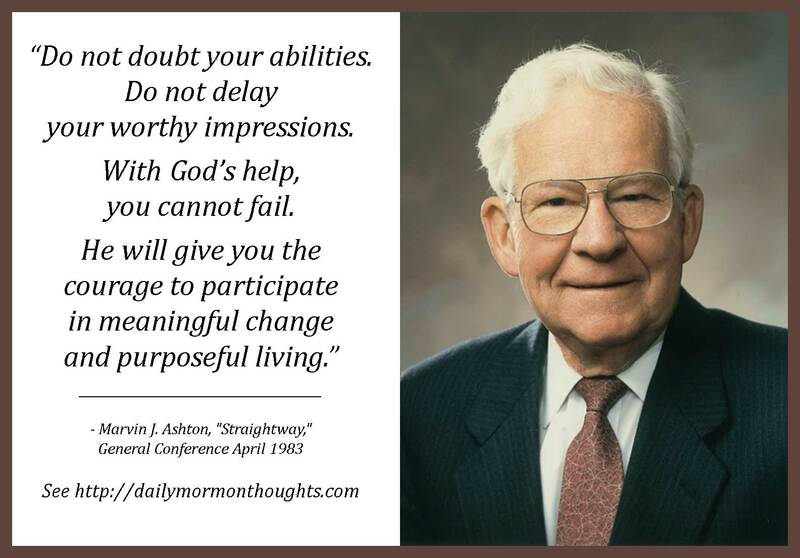 "May we launch straightway toward setting goals that are gospel oriented, knowing that if we use the talents that are ours—that if we help others, strive for peace, avoid being overly sensitive or overly critical—strength upon strength will be added unto our own abilities and we will move straightway toward greater growth, happiness, and eternal joys. 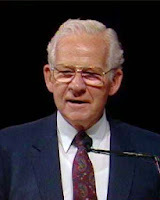 Our Master and Savior invites us to straightway embrace His truths and enjoy the warmth of His constant companionship." 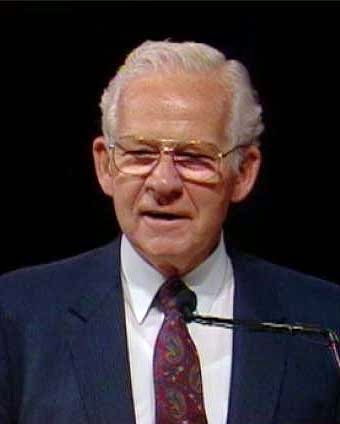 In this memorable talk, Elder Ashton referred to the New Testament description of Jesus calling Simon Peter and Andrew to service, and how they "straightway" left their fishing nets to follow (see Matt. 4:18–22). He encourages us to not delay in our choices and righteous works. In this excerpt he focuses on the personal benefit that comes as we choose to take control of the direction of our life in more assertive ways. Elder Ashton teaches that as we listen to spiritual promptings and act promptly on them, we begin to live "the abundant life" and feel divine help in becoming more "sensitive to our own needs and to those of others." We become "wiser and stronger"—but only as we have the courage to "take the first step" in decisively and straightway following the Master's call. With God's help, we can act and progress, and will receive the blessings of joy that accompany our actions.